Stacking the Bricks: Dave was bored at his day job. His side project was going nowhere. Then Grid Critters made $30k at launch! Dave was bored at his day job. His side project was going nowhere. Then Grid Critters made $30k at launch! In this interview, you’re going to learn how Dave’s boredom at work fueled an unexpected path into creating products of his own…and how his first attempt didn’t go quite as he had hoped. But once he was on that path, he just couldn’t look back! He joined 30x500 in late 2016, earning his first few hundred subscribers by January of 2017. Just a few months later, his focus had paid off with his audience growing by more than 20x thanks to one epic Ebomb. That Ebomb set him up for an equally epic win in terms of sales: over $30,000. 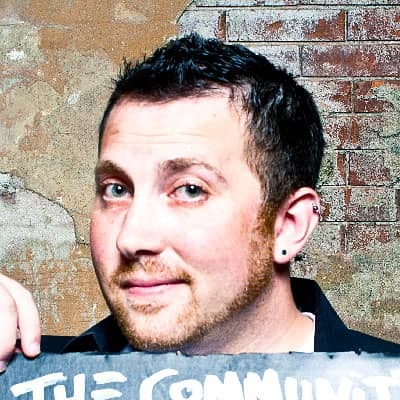 Follow along and see what Dave learned about understanding his audience’s pain, how he “flintstoned” that epic Ebomb, and exactly where he was when he made his first sale. Had you ever tried launching products of your own or been involved in launching products at your job? I’d only created open source projects, sinking a ton of time and effort into projects that demanded a lot and returned very little. I’d also seen products I created at work launch by other people in the company. But at a job you’re usually so far removed from the customer that a launch feels like a hollow, almost empty version of what I now know a launch can feel like. Then I heard about you guys from a good friend of mine, John Lindquist, who is a cofounder of egghead.io with 30x500 alumni Joel Hooks. By the end of reading the 30x500 sales page I had such a strong “shut up and take my money!” feeling. I realized that I needed to learn how to create that feeling in others if I wanted to make a living doing my own thing. Haha - I remember that you were really fed up with your job around the time you joined the class. Did you have an idea of what you wanted to do instead, or did you just need out? I couldn’t help but contrast the passion and excitement that project brought out in me to the soul-sucking, zero-creativity work at my day job. That lead to the desire to do my own thing full time. So I had gotten a bunch of my friends to enroll in the beta for my app, and building it felt exciting. Until I checked the stats and saw that none of them were actually using it regularly. They were supportive and encouraging, but the data didn’t lie. My app wasn’t solving their problems, it was only solving my problem: day job boredom. 30x500 helped me see other things I was good at besides building apps, that I could help people with, and how that would lead to sales. That’s when I realized that I had recently mastered a technology that lots of UI devs still struggle with - Flexbox. To this day I’m so glad I poured my heart into that old side project, because simply by starting I realized there was another path I could take. Do you remember any “ah-ha” lightbulb type moments during your 30x500 study and practice? The first was when I realized how often I had made the cardinal mistake: starting with an idea/product rather than a person to serve. I’ve had hundreds of “you know what would be cool?” ideas; things that sounded really fun to make but would have been serving myself rather than my audience. Each time, I was well down the path of building something first and figuring out how to sell it second. For example one idea I had was to build a macOS app to solve my own frustration with Apple’s desktop spaces. I was brainstorming ways to build the thing when I stopped and asked myself: “is this something I know my audience struggles with? Or just me?” I had no data to back it up so I decided to put that project on the shelf for now. However, once I found specific pains like that my UI developer audience struggled to understand how content flows into a CSS Grid, I focused my efforts on writing this animated explanation for them instead. The biggest thing for me was creating that element of “feeling understood.” You guys taught me that if people feel understood they’ll listen to the rest of what you have to say. If you want to sell things to people you have to make them feel like you get them. And to do that you have to actually get them. There’s no faking it. That’s what I love most about 30x500 is it taught me the importance of deeply understanding my audience, and gave me a system to do it. Once I had that clarity, it was easy to know how to best help them. Some of your most successful Ebombs were essentially free interactive games, right? Had you created this sort of thing before? How much time did you put into this? The very first iteration of Flexbox Zombies was just a simple email sequence. Just words, pictures, and codepen exercises like this one. There was no animation, sound effects, or fancy art. Just a story and some simple explanations. Hundreds of people signed up for it and loved it. That small taste of success is what pushed me over the edge: I realized I did have what it takes, and could make this work. At this point, I’d been saving for a few years to do my own thing. This was it. I quit my job and spent the next six months crafting the full on Flexbox Zombies mastery game. Editors Note: We generally do NOT advise people quit their job to work on their first product full time. We sent Dave this advice when he asked if he should quit his job. His decision was his (and it worked out!) but if especially if you have a cushy job that won’t prevent you from working on the side, there are lots of options to consider before you rage-quit the whole thing and start the clock ticking against your runway. Now back to Dave. I took a gamble and decided to treat it like an Ebomb, giving it away for free with the hopes that it would build my subscriber list. And that gamble paid off! 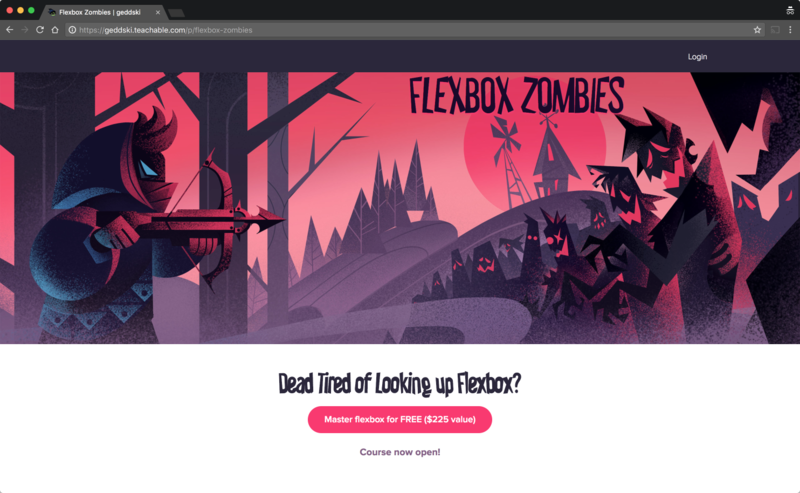 At the beginning of 2018 I passed 11,000 Flexbox Zombies students, who are also on my email list. I keep sending them weekly UI tips and try to provide them with a ton of value via additional written and video ebombs. Talk to me about your process while building your audience, and figuring out what your first product would be. Essentially, what did you do differently? 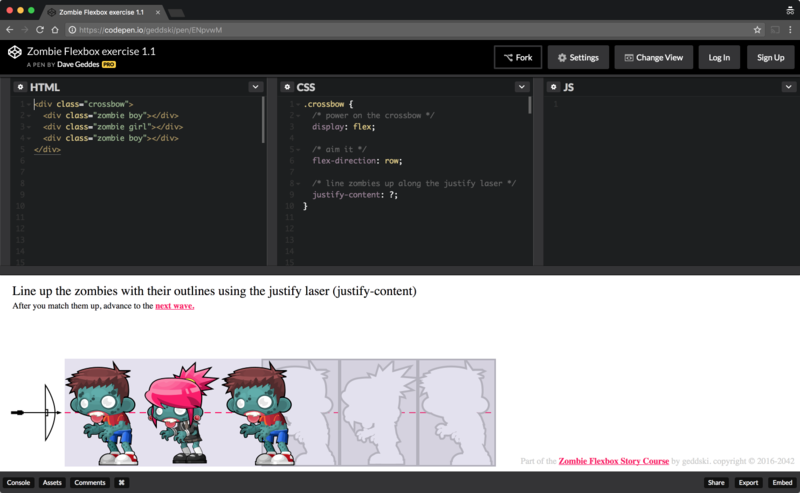 While building Flexbox Zombies I posted on my blog about once a week. I started doing Safari research a couple times a week but I realized that wasn’t enough. I’ve now built Safari into my daily routine for 30 minutes every weekday. The biggest change in my process is that no matter what I’m doing I focus all my efforts around understanding and solving my audience’s actual pain. It’s easy to come up with a ton of ideas for things I could spend my time on. But now I check every idea against the actual data/insight I gather from observing my audience. Tell me more about the pain behind your paid product Grid Critters. What pain did that solve, and for who? My audience is UI developers (sometimes that’s designers, sometimes marketers, but mostly coders). Now that CSS Grid landed in all the major browsers, we have a superior layout system that makes it easy to build fantastic, flexible layouts with very little code and effort. But first you have to master Grids. You can read the spec or watch tutorial videos all day long but you’ll never master Grids until you build dozens of projects with it yourself. So I made a mastery game called Grid Critters with spaced repetition and recall to help you learn faster than you could build dozens of projects. How exactly did you officially launch the product? Did you have a goal in mind to consider it a success? 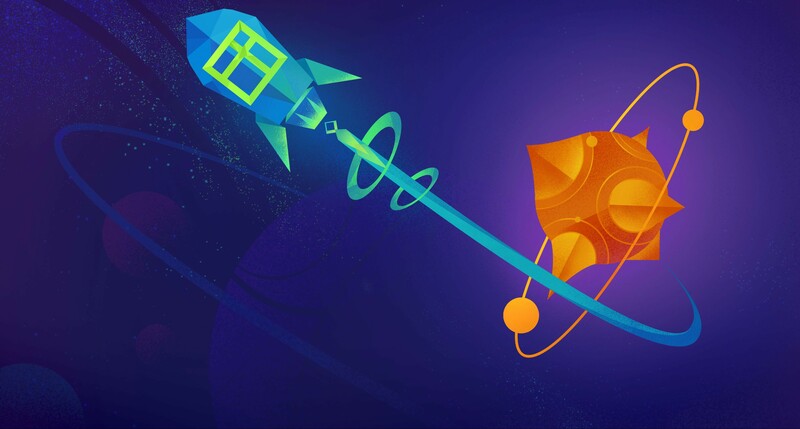 Is there anything specific you’d do differently for your next launch? I shared screenshots and behind the scenes work in progress with my list and on Twitter every once in a while. Building up to the Cyber Monday launch I sent out a sequence of four emails, inviting people to buy it and get a discount and a custom designed sticker pack as a preorder/loyalty perk. Total sales at launch was 207, at the preorder price of $145, hitting the $30,000 mark! The one thing I’d change is having it all done before announcing a date, including the email sequence. I worked like a mad man during the three weeks leading up to launch. On Thanksgiving at my in-laws I stuffed my face with turkey and yams and went right back to my laptop on the couch. Besides not scoring any mother-in-law points, it was a physically and emotionally exhausting time. My plan is to work a steady, sustainable rate and launch my next thing with no stress. I don’t want that self-induced stress to take away from an otherwise crazy exciting thing again. What was that excitement like? How was it different from previous projects you’d worked on? When you launch your own thing directly to the people you’re trying to serve, and they rave about it, there’s nothing that compares to that experience. I had just wrapped up Flexbox Zombies - a huge undertaking - and needed a vacation. I made a quick preorder page for Grid Critters, launched it, bought a Nintendo Switch with Zelda, and went on vacation. I remember sitting by the pool with my wife, keeping an eye on my little monkeys swimming. My phone kept buzzing with email notifications. “I’m on vacation, whatever it is can wait.” I kept telling myself. Eventually I caved and checked my phone. A bunch of people had preordered Grid Critters! Like, they sent me real cash monies for a thing that was just a spark of an idea in my head. I couldn’t believe it. That was the most awesome vacation ever. I’d jump up and down with excitement every time one of those emails came in. Even though I knew I had a lot of work ahead of me to create this thing, it felt like I was finally being rewarded for all my months of working for free. It felt amazing to watch my runway extend as a result of my own thing for the first time. You mentioned that you started selling pre-orders for Grid Critters before it was done. How did that go? Were there advantages to pre-selling this way? Disadvantages? The people who bought it right away were some of my super fans. They loved Flexbox Zombies so much they knew I’d deliver for Grids as well. I thought for sure I could build this one faster than the first one, but it ended up taking about the same amount of time (six months), probably because I went all out on it and made an even better experience this time around. I made around $5,000 from those pre-orders, and there were both pros and cons. knowing that people were actually spending real money for my idea made it easy to commit to it. I had real people I could picture that I was building this for, not some vague “user”. I was able to interact with a lot of them one on one, ask them about their goals, their story. What they hoped to get out of the product. Why they bought it. I loved those personal interactions. The biggest downside for me at least was the pressure of having people’s money chilling in my pocket and not having delivered the game to them yet. It was rough. Some parts took way longer than I would have liked - especially the interceptor space ship flight animation. When something took a longer time it would add a lot of stress and make that part less enjoyable to work on, even though it was one of the most interesting and fun things I’ve ever built. I hate deadlines. I’m never, ever announcing dates for things before they’re done. The stress of trying to hit my own deadlines took a big toll on my health and my family time. In the future I’ll announce dates only after a thing is finished. Blizzard games style. Making people wait so long after they’d paid, made me feel bad. I remember you having some major anxiety around unsubscribes, especially before launching Grid Critters. What was most frustrating about that? It took some time to get used to the idea that people would unsubscribe every email I send. I’d pour my heart into a solid post that would deliver a ton of value, and 20 people would click unsubscribe! It didn’t make any sense to me. I would never leave a valuable list like this! You helped me come to terms with the fact that people unsubscribe from stuff, for a lot of reasons, not to take it personally, and that it’s just part of the game. Now I don’t even check it. My list continues to grow - lots more people joining than leaving. The coolest part is I’m starting to find my “super fans” - people who are so much like me that my emails resonate and really have an impact in their life. Hearing their stories of how I’ve helped them overcome some huge obstacle makes this whole thing worth it. If you could go back in time and tell your past self one piece of advice to help get to the successful launch of GridCritters, what would that be? Stop worrying and just go all in. Worry isn’t productive, it’s choosing to experience failure in advance. You’re not going to do everything perfect. But if you’re genuine and do your best work while following the 30x500 process, you will resonate with the right people. Help them, and they’ll be more than happy help you out in return.